Deep Purple drummer Ian Paice has revealed that a series of “mini-strokes” he experienced were responsible for the band’s concert cancellations in Sweden and Denmark this week. The band cancelled scheduled performances at Gröna Lund in Stockholm on June 14, Liseberg in Gothenburg on June 15 and The Prison – Open Air at Horsens, Denmark on June 17. While the venues announced the shows were off due to “health issues”, Deep Purple had not issued a public statement until Paice posted a message on the group’s website offering an explanation in an effort to inform fans and reduce speculation over the situation. “The hospital staff in Stockholm were amazing and started my treatment straight away,” he continued. “After both CT and MIR scans there was found to be no serious or permanent damage. As of this moment all I am suffering is a slightly numb right side of the face a tingling sensation in my right hand. The group are scheduled to perform next in Antalya, Turkey on July 5. 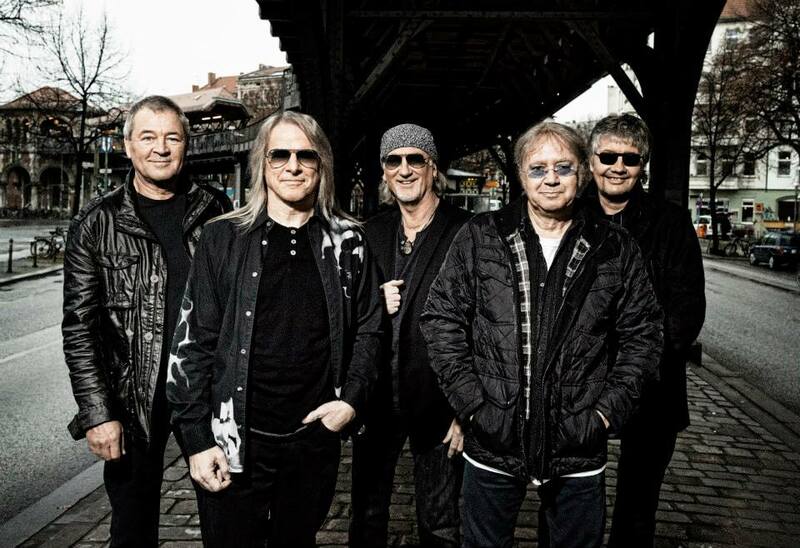 Deep Purple recently completed recording the follow-up to 2013’s "Now What?!" with producer Bob Ezrin in Nashville, TN. No further details regarding the project or a possible release schedule have been announced to date.